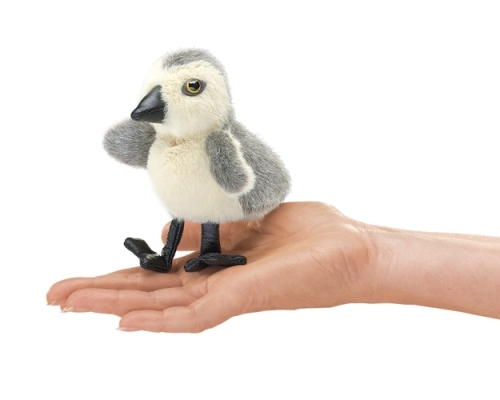 The mini Gosling finger puppet was released in February 2014. It is gray and white with a black beak and feet. 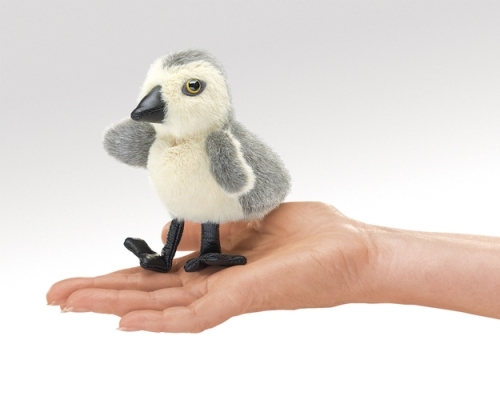 The finger puppet is about 5.5 inches tall, 4 inches wide and 4.5 inches long (14 x 10.2 x 11.4 cm). You put your finger in the puppet from the bottom to move it. Discontinued in July 2015. Limited stock. 3 per customer.